How does the old saying go? 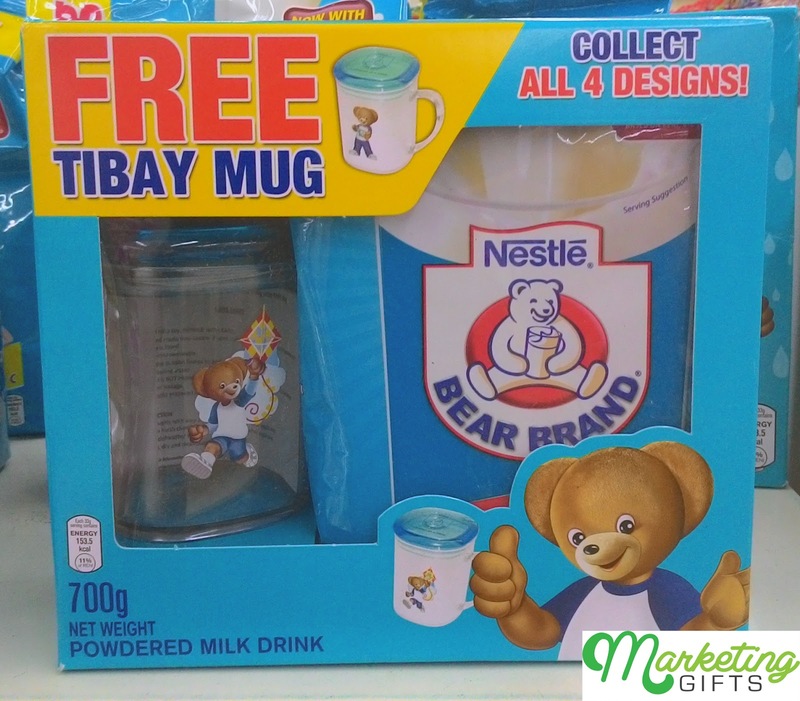 “Don’t cry over spilled milk.” Well, what would you feel if you or your kids literally have a chance to get over that most unfortunate act of spilling milk if you get the branded mug with lid from Nestlé Bear Brand? This gift with purchase has not just 1 but 4 designs – a clever marketing idea from the brand. But it is not just the memorabilia factor that makes it appealing. Let us shine more light on the advantages of this promotional strategy. More Profits. Nestlé is a reputable brand – the go-to brand of young families because of its affordability and high quality. Customers will find that aside from the huge pack of powdered milk that they can get from this promotion, they will also get a branded mug that is coupled with a nice lid. Highly Useful. The kids in the family will most likely be the ones to use the gift with purchase. If and when they can already drink milk without spilling it, the mug can be used as a mini cookie or crafts jar. Extra Awareness to the Brand. No matter how consumers want to use this on-pack promotion, the brand is widely visible to more and more people, thanks to the image of the Bear Brand mascot plastered on the body of the mug. Find more favorable marketing ideas in our Marketing Gifts blog, and contact us to find more ways to promote your business.